Butterflies, birds, bees and even people have a new reason to love downtown Cincinnati. 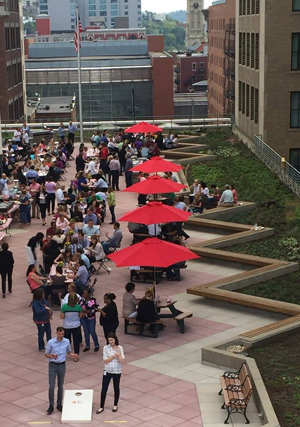 A recent green roof installation in the city has been designated a Monarch Waystation and Wildlife Habitat, along with being a great place for Macy’s employees to have lunch! 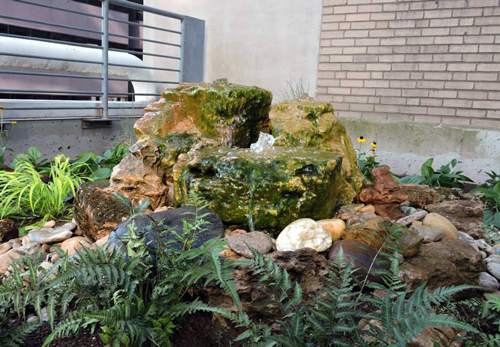 TriState Water Works was proud to partner on this project. We designed the irrigation system with water conservation in mind. Rain sensors and a solar sync adjusts watering based on weather conditions. The Habitat Roof already seems to be a success. Wildlife sightings include Monarch butterflies, praying mantis, red admiral butterflies, bees and a Cooper’s Hawk. We appreciate Macy’s commitment to sustainability with this first-of-its-kind green roof in downtown Cincinnati.